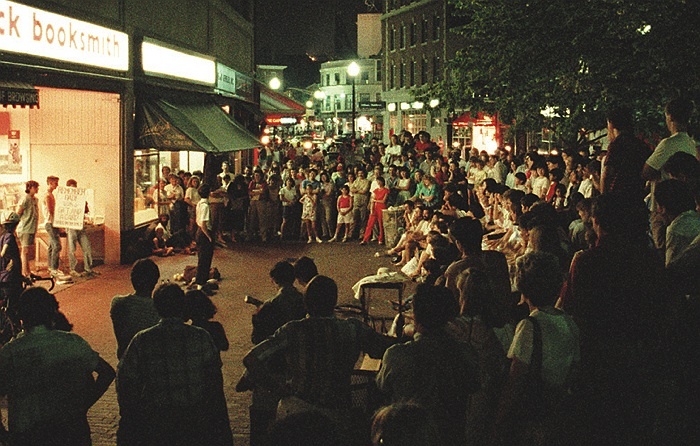 Cruising the Square: A summer crowd watches a street performer in 1987. 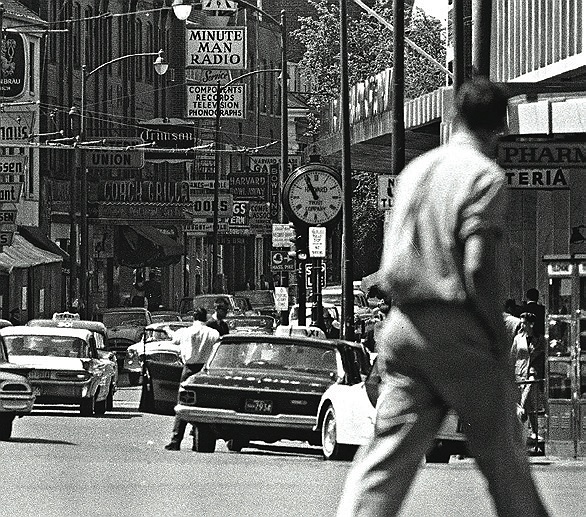 Cruising the Square: Boylston (now John F. Kennedy) Street in 1963. 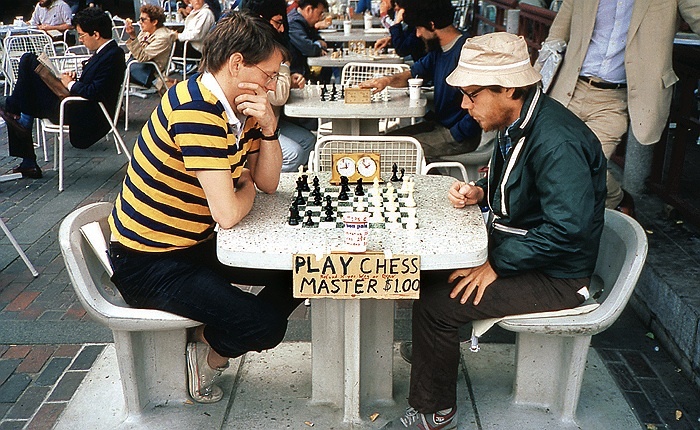 Test your knowledge with our Harvard Square history quiz [extra:26645], and enter to win a copy of Mo Lotman's new book. Contest ends November 30, 2009. Indeed you cannot. A branch of a chain drugstore, CVS, now does business in the space that was Ruggles. 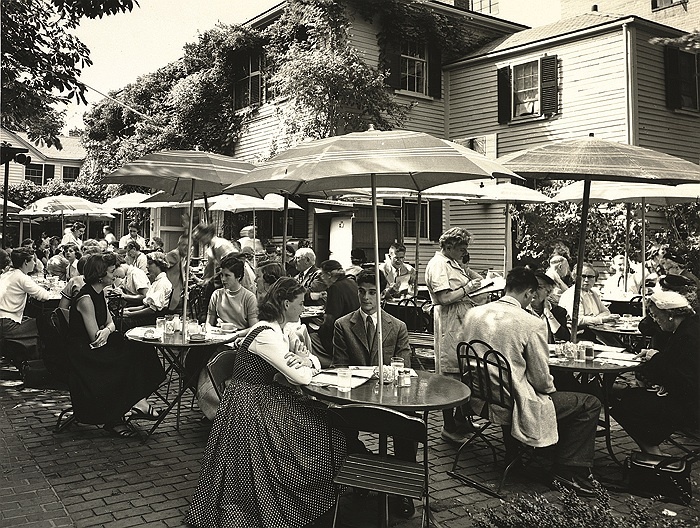 But Lotman’s moment of reminiscence and wondering started a process that led him to write, design, and undertake the prodigious research that went into Harvard Square, a photographic panoply of Square vistas and landmarks from the last half-century-plus. The coffee-table book is both cornucopia and palimpsest. The beloved businesses are all here: second-hand bookshops, cafés, cafeterias, delis and restaurants; folk-music clubs, stereo stores, haberdasheries, bars, bakeries, boîtes, bicycle shops and newsstands; movie houses, tobacconists, and, at one time, five gas stations. The book is filled with long-gone venues like Design Research, Pangloss Bookshop, Krackerjack’s, and Elsie’s (now the site of a Bank of America ATM kiosk). The street musicians, chess masters, and protestors are all here, too. Older readers may mist up with nostalgia for an earthier, more bohemian, and more engaging Square. Younger ones will find layers of unsuspected history beneath today’s cityscape, learning that the Boloco burrito-chain outlet was once Saks Fifth Avenue, and that Kinko’s Copies formerly housed a dark, underground, sangria-soaked music club called The Idler. The book, filled with mini-essays, reads like a series of short magazine sidebars. In addition to Lotman’s main text, the likes of William S. Weld ’66, J.D. ’70, Tom Rush ’63, and the late John Updike ’54, Litt.D. ’92, contributed reminiscences. Lotman moved to Boston in 1991 after college at the University of Michigan. 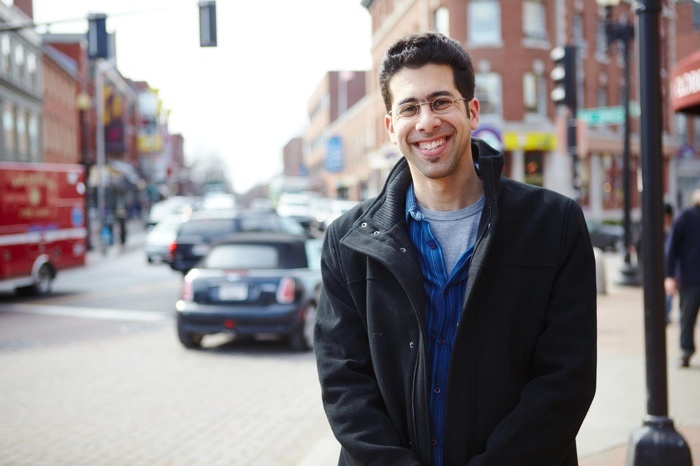 The book “was built from my love for Harvard Square and my desire to learn about its history,” he explains. “I had always loved the feel and scale of it.” He has been around long enough to witness some sea changes. In warm weather, “the night street scene is completely different than it used to be,” he says. “The Mardi Gras feel, with the street performers everywhere, is no longer there—a hundred or 200 people used to gather around one performer. 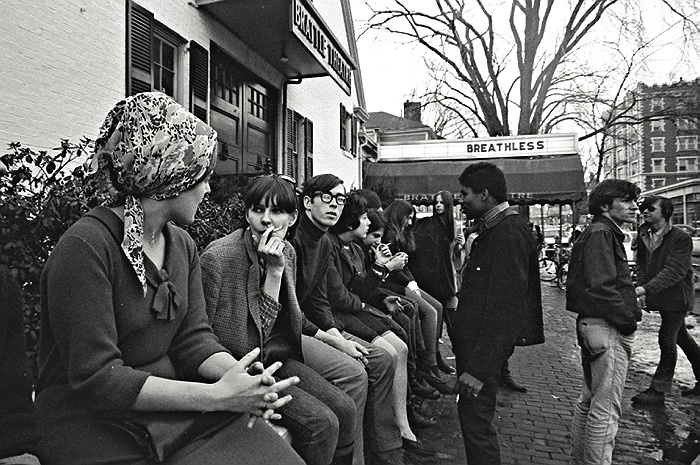 “The counterculture in Harvard Square is a whisper of what it once was, but there is no reason the Square must always be the seat of radical activism,” he continues. “So many people are down on the Square nowadays—if they’ve lived here a long time, they say it’s a shadow of what it used to be. I understand why they say that, but I don’t share the bleak outlook. A lot of independent boutiques have sprung up in the last few years—locally owned places with young owners, sometimes even replacing chains. There’s a tendency to look at what you’ve lost, and not at what’s still here."